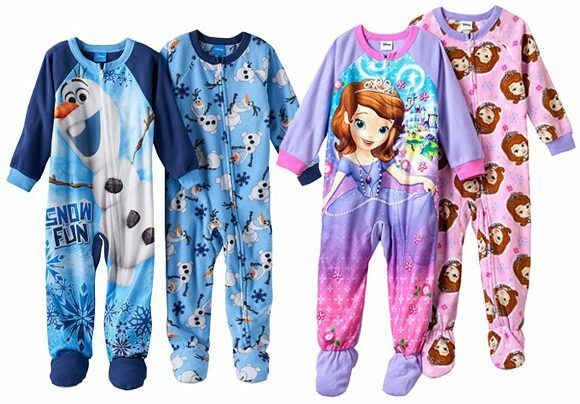 Disney's Fleece Footed Toddler Pajamas Only $3.85 Per Pair Down From $40.00 At Kohl’s! You are here: Home / Great Deals / Disney’s Fleece Footed Toddler Pajamas Only $3.85 Per Pair Down From $40.00 At Kohl’s! Disney’s Fleece Footed Toddler Pajamas Only $3.85 Per Pair Down From $40.00 At Kohl’s! Kohl’s has these Disney’s Fleece Footed Toddler Pajamas on sale for $16.00 (Reg. $40.00) but you can get them for only $3.85 per pair through 1/24! Final: $3.85 per pair or $15.40 for all + FREE shipping! Final: $4.68 per pair or $18.70 for all + FREE in-store pick up!